Shower doors are usually made of Plexiglass or tempered glass. 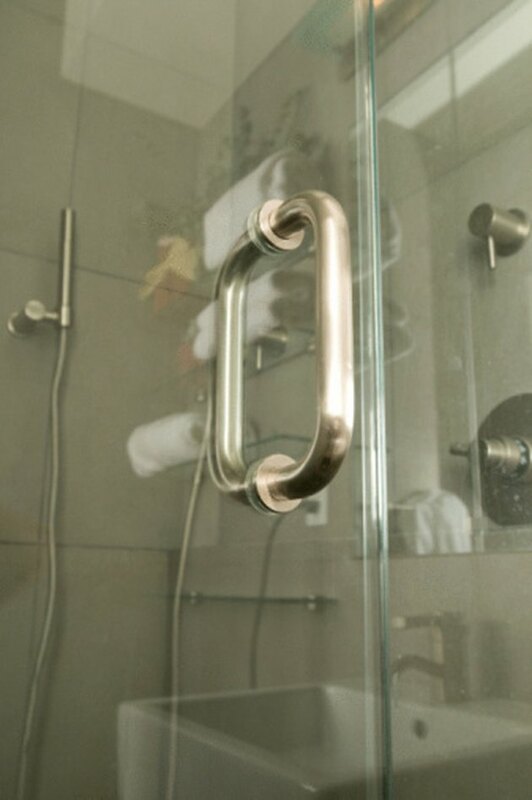 Plexiglass is less fragile than tempered glass, but both types of shower doors are prone to scratches. Scratches can make an otherwise clean shower door look dingy and dirty. However, most fine scratches can be removed with the right tools. Deeper scratches (such as those that can be traced with a fingernail) can also be removed from Plexiglass, but if it's best to call a professional for deep scratches in glass. Small scratches can be buffed out of shower doors. Dab the polish on the scratch. Rub the polish into the scratch with your finger or a cloth using circular motions. Apply a slight bit of pressure. Rinse the polish with clear, cool water and check to see if the scratch is gone. If not, apply more polish and continue to buff the scratch. Rinse again and apply more polish, repeating the steps until the scratch is gone. Is the Magic Eraser Safe for a Glass Shower?